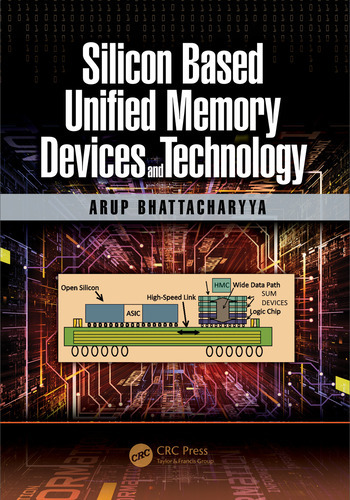 The primary focus of this book is on basic device concepts, memory cell design, and process technology integration. The first part provides in-depth coverage of conventional nonvolatile memory devices, stack structures from device physics, historical perspectives, and identifies limitations of conventional devices. The second part reviews advances made in reducing and/or eliminating existing limitations of NVM device parameters from the standpoint of device scalability, application extendibility, and reliability. The final part proposes multiple options of silicon based unified (nonvolatile) memory cell concepts and stack designs (SUMs). The book provides Industrial R&D personnel with the knowledge to drive the future memory technology with the established silicon FET-based establishments of their own. It explores application potentials of memory in areas such as robotics, avionics, health-industry, space vehicles, space sciences, bio-imaging, genetics etc. Dr. Arup Bhattacharyya has forty years of leadership and pioneering contributions in the area of microelectronics and nanoelectronics. He has contributed pioneering activities and innovations in process, device, interconnect, and integration of many generations of microelectronics and nano-electronics. His inventions include nearly 300 U.S. and international Patents and invention publications in technologies such as CCD, BIPOLAR, FET, NVM, FLASH, ANTIFUSE, SOI, BICMOS, SOLAR-CELLS, and SOC. Some of the applications of Dr. Bhattacharyya's inventions include electronic Memories, Microprocessors and Controllers, Random and Programmable Logic Devices, Nonvolatile Devices, Energy-conversion devices, ASICs, ASDs, and SMART Electronic Devices. He has experience in R&D leadership, Program management and Technology transfer, Technical Education and Consultancy, Strategic Planning, Infrastructure Development, Product Development, and Manufacturability. Additional experiences include University teaching, volunteering for science and engineering promotion, service to professional organizations, and consultancy to the UN. "This book gives a very good overview of existing and emerging NVM technologies. This is going to be a valuable reference book for both undergraduate and postgraduate students. The book benefits from the detailed description of technologies and structures of NVM devices. It shows the variety and differences between all known NVM structures. The book should also help VLSI designers to better understand advantages and drawbacks of different NVM structures."